Admission is free. PhotoNOLA is managing registrations. Please click the link below to reserve your seat. Combining portraits of past and present social justice activists with documentary images from recent protests throughout the U.S., in #1960Now Shelia Pree Bright sheds light on the parallels between the 1960s Civil Rights Movement and the Black Lives Matter movement of today. Bright’s black-and-white photographs capture the courage and conviction of ’60s elder statesmen and a new generation of activists, reminding us that the fight for justice is far from over. In her lecture, Bright will share images and insights from previous bodies of work, leading into #1960Now which has recently been published by Chronicle Books. She will be available to sign copies of #1960Now immediately after her presentation. Sheila Pree Bright is a fine-art photographer nationally known for her photographic series, Young Americans, Plastic Bodies, and Suburbia. In recent years Bright has documented responses to police shooting in Atlanta, Ferguson, Baltimore, Washington DC and Baton Rogue, which inspired her new series #1960Now. Bright earned an MFA in Photography from Georgia State University and received the Center Prize from the Santa Fe Center of Photography for Suburbia. In the art world, she is described as a “cultural anthropologist” portraying large-scale works that combine a wide-range of contemporary culture. Bright was featured in the documentary, “Through the Lens Darkly,” which explores the important role of Black photographers in capturing identity and celebrating images that explore and pay tribute to the humanity of African Americans. Bright’s most current work, 1960Now, evolved from her public art series, 1960Who, which involved a street art gallery showcasing epic-sized portraits of unknown youth leaders of the 60’s who became members of the Civil Rights Movement. The series launched in Atlanta and received national attention after being featured by Huffington Post in 2013. 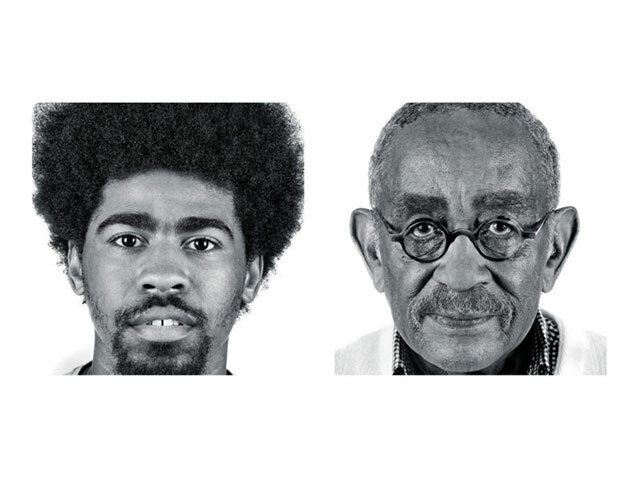 In placing larger than life portraits of young people of the 1960’s on walls in downtown Atlanta, the portraits humanized the faces of HBCU members of the Atlanta Student Movement as well as Freedom Riders from Atlanta to Connecticut. Bright has exhibited at the High Museum of Art, Atlanta; Smithsonian Anacostia Museum in Washington, D.C.; the Art Gallery of Hamilton, Ontario, Canada; the Museum of Contemporary Art, Cleveland; Time Inc, NY; FotoFest in Houston; and the Leica Gallery in New York. She has been featured in numerous publications, is the recipient of numerous awards and has work in private and public collections including the Library of Congress, Washington DC; High Museum of Art, Atlanta, GA; de Saisset Museum, Santa Clara, CA; Wadsworth Atheneum Museum of Art, Hartford, CT; Oppenheimer Collection: Nerman Museum of Contemporary Art, Overland, KS; and Sprint PCS Art Collection, Overland, KS. This event is presented by PhotoNOLA in collaboration with The Historic New Orleans Collection and Octavia Books.